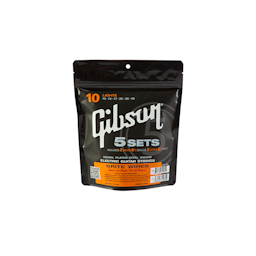 Gibson Brite Wires Electric Guitar Strings are precision-wound with nickel-plated steel to give your guitar a bright, crisp attack with excellent volume and sustain. Brite Wires provide a vibrant tone for your electric guitar that is perfect for virtually any type of music. 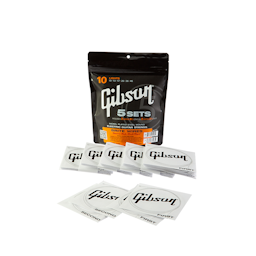 Just like Gibson instruments, authentic Gibson strings are American made, world played. 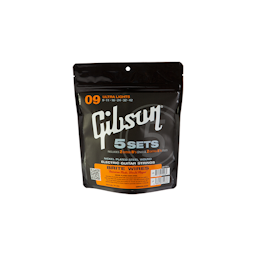 And, like our instruments, our genuine strings utilize strict quality control methods to ensure tone, durability and consistency. 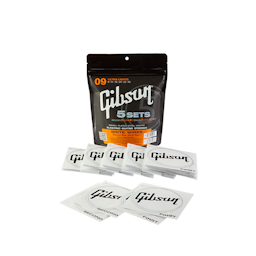 All Gibson strings feature specs absolutely unique to Gibson and are factory sealed to guarantee freshness in every set.